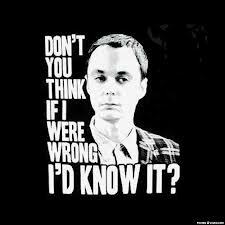 There’s nothing worse than knowing you did something wrong and not admitting it. Sadly, we are living in a world where doing what is wrong and right have become a gray area in the way we deal with each other. We might think we get away with doing wrong but little by little it begins to corrupt the way you think, the way you behave. On the other hand, in regards to our relationship with God, we cannot get away with wrong doing for long, because He has given us wisdom through His Word on how we are to behave before Him. If we count ourselves as His children, He will work in and work out all He desires to see more of Himself in us. That means that when we as believers do wrong before Him, we will be chastised by Him, in mercy and and kindness. The Psalmist has undergone a great testing by God but in the chastisement he never lost hope under his trial. “I know” He avows the strong conviction of his wrong an confesses that he had been justly and wisely chastened. “Your rules are righteous” . Before this trial, he knew but now he knows. He was absolutely positive about it and speaks without a second’s hesitation. It was not because God was unfaithful that he found himself in this tough time, but the opposite…..it was the faithfulness of God to His own covenant which brought this ‘Chosen One’ under the rod. It became necessary and therefore the LORD did not withold the blessing. ‘“And Eli was very old, and heard all that his sons did to all Israel, and how they lay with the women who gathered at the door of the tabernacle of the congregation. Eli was a Levite Priest who had two sons, and is an example of what happens when we know we are doing wrong in God’s eyes and not doing anything about it. Eli was a bad father to his sons because he let them get away with the profane things his sons were doing bringing shame to God. The awful thing is that everyone else knew about all this. Eli, not only hurt himself, his sons, by not disciplining them timely, he hurt the congregation. This opened up a door for the enemy to try and divide the people by seeing that God was favoring Eli and was willing to turn his eyes away from this evil. Wrong. God governs the lives of his people justly, and even though He is long-suffering; eventually His discipline will come, for the good. God is no Eli, He will not suffer His children to sin, without rebuke. God’s love is too intense for that. Having confessed the righteousness of the Lord, he now appeals to God’s Mercy. 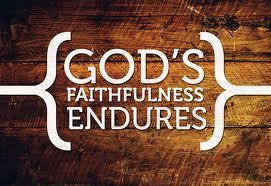 Righteousness and Faithfulness are one of the banners we come to appreciate in a loving Father. Merciful- Kindness is exactly what we need when we are in this kind of trial. Notice the Psalmist didn’t “ask out” of this chastisement. He asks for God’s comfort while he is in the trial. God continues to give us what we need in that trial. He shows us that He gives mercy to forgive our sins, and kindness to sustain us while we’re in the trial. This is my absolute part of this verse, “according to Your promise, according to Your Word” The motive for God’s mercy, and the manner of mercy. How about you today, are you in the middle of a “good old fashion” chastisement by God? Remember that God “chastises those whom He loves” That you might experience His Merciful Kindness. Why not go before Him today and ask Him to “search and see if there be any wicked way in me”. Ultimately, you might get away with it with people; but with God all things are visible, and since He motivated by His love for you, He won’t let you get away with it.